As I read and listen to the news reports each day, it seems like the sheer number of cyber attacks, whether it involves large or small companies, is on the rise and exposing millions of customers’ vital information such as social security numbers, bank account numbers, credit card numbers, and, now, private health records, among the many items of information that can be exposed. 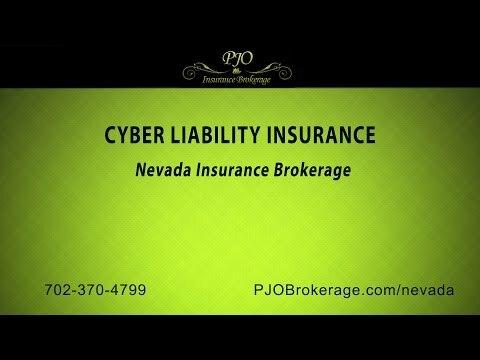 If you are one of the many Las Vegas/Clark County, NV companies that conduct transactions via the web these days, and in light of the ever-growing hacking, your company should make it a very high priority to acquire Las Vegas Cyber Liability Insurance to provide protection for your company and its assets. When discussing this type of insurance coverage with our clients, it seems that they are all in agreement that these cyber attacks are a major problem for companies, but are convinced that chances are it won’t happen to them, and nothing could be further from the truth. Please take note that these cyber attacks are currently happening at an unprecedented rate, and the cost of a website being hacked nationally is heading to well over a quarter of a million dollars. In addition, the vast majority of company owners don’t realize just what a huge gap they have in their current Nevada business insurance policies until a Cyber Attack has hit their company, which, in turn, makes them vulnerable to serious lawsuits. What truly is amazing is that the vast majority of company owners know cyber attacks are increasing, but only forty percent of them actually have a cyber policy. A recent article reported that in the past year alone, they had estimated there were over forty-five hundred cyber attacks, which could potentially expose financial, personal health, or other confidential information regarding millions of customers. I wonder just how many of those companies that suffered a cyber attack had planned ahead and had purchased Cyber Liability Insurance Coverage? I am sure of one thing, the ones who didn’t have coverage wished they would have planned ahead. When we discuss the pricing of cyber liability insurance with our clients, the first item that will affect the premium is what type of company it is? Will the majority of the company’s gross sales come from their website? What type of information is taken or stored on its servers, such as social security numbers, credit or debit card numbers, or does your company deal with confidential client health records, which, of course, could result in a much higher premium. Please be aware that with a higher risk of your site being hacked, there will be a corresponding spike in your insurance premiums. When determining what amount of Cyber Liability Insurance Coverage would be the most beneficial to your company, we suggest you sit down with an experienced and professional insurance agent who has the knowledge to help you devise a plan to fit your particular business. In addition to acquiring a Cyber Liability Insurance policy, we highly suggest to our clients that they perform a thorough review of their company’s passwords and firewalls and whether or not they use an upgrade. Another suggestion that we advise our clients to take is that if their website is hacked, there should be a written plan in place with a set of instructions on what steps to take and to whom certain responsibilities would fall. In addition, your company may consider a professional IT consulting company to review all of your company’s systems and website. By following their recommendations as to where you could beef up your company’s anti-spam, anti-virus software, your virtual private networks, and mobile applications will help you ensure you are doing everything possible to protect your systems from being hacked. In the past seven to ten years, the pace at which technology has advanced is quite astounding. Things that we were convinced could never be are now just a common everyday occurrence. One can only imagine how far technology will advance over the next five to seven years. About the only thing about the future that we are fairly confident is that no matter what advancements are made regarding systems’ securities, hackers will continue to hone their skills and will be relentless in designing more ways to attack those systems. With more insurance options and carriers currently available that provide Cyber Liability Insurance Coverage, and with more and more cyber attacks happening each day, we feel it would be in your company’s best interests to acquire this type of coverage. Please call the experienced and professional Nevada brokers at PJO Insurance Brokerage to have one of our insurance professionals help you design a specific plan for your company.